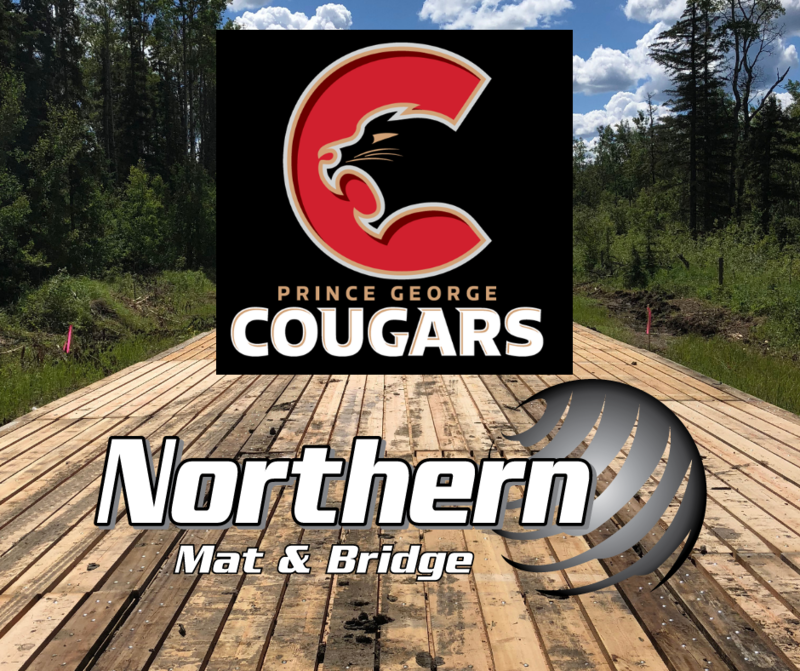 PRINCE GEORGE, BC- The Prince George Cougars Hockey Club is proud to announce a ticket partnership with Northern Mat & Bridge LP. Northern Mat & Bridge and the Cougars share the same philosophy of being a positive and supportive partner in the community and are proud to announce a program to bring youth sports teams to Cougars’ games this season. Northern Mat & Bridge has purchased 300 tickets to be given to youth sports teams in communities west of Prince George. Communities that are eligible include: Vanderhoof, Fort St. James, Fraser Lake, Burns Lake, Houston, and Smithers. “We are proud to partner with a likeminded business such as Northern Mat & Bridge. We were thrilled when we heard of their idea to bring youth sports teams from neighbouring communities to Cougars’ games. It’s businesses like Northern Mat & Bridge that are part of the fabric that makes Northern B.C. a special place to live” stated Vice President, Business Andy Beesley.